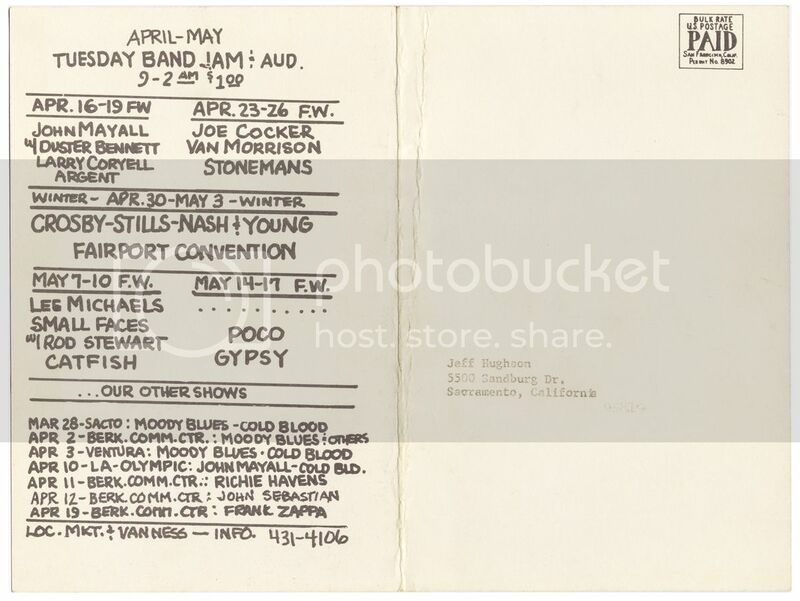 This is an original BILL GRAHAM PRESENTS THE GRATEFUL DEAD & JOHN MAYALL Fillmore West Joined Handbill (BG227/228) from concerts at the FILLMORE WEST in San Francisco, Ca. Apr 9th, 1970. Also on the bill were: MILES DAVIS, ARGENT & LARRY CORYELL. With two strong designs by DAVID SINGER, these cards are always in high demand. The postcard was printed only once before the concert. It measures approx. 7″ x 9 1/4″. It is in nice shape with two vertical folds, but no pinholes or other major damage. Additional bands mentioned on the back include: CROSBY, STILLS, NASH & YOUNG, JOE COCKER, VAN MORRISON & THE SMALL FACES. Will look awesome in a frame! Categories: MUSIC, PAPER PRODUCTS, Handbills. Tags: collectibles, Argent, Larry Coryell, Miles Davis, Bill Graham Presents, Fillmore West, Grateful Dead, handbills, John Mayall, music, Pop Culture, postcards. 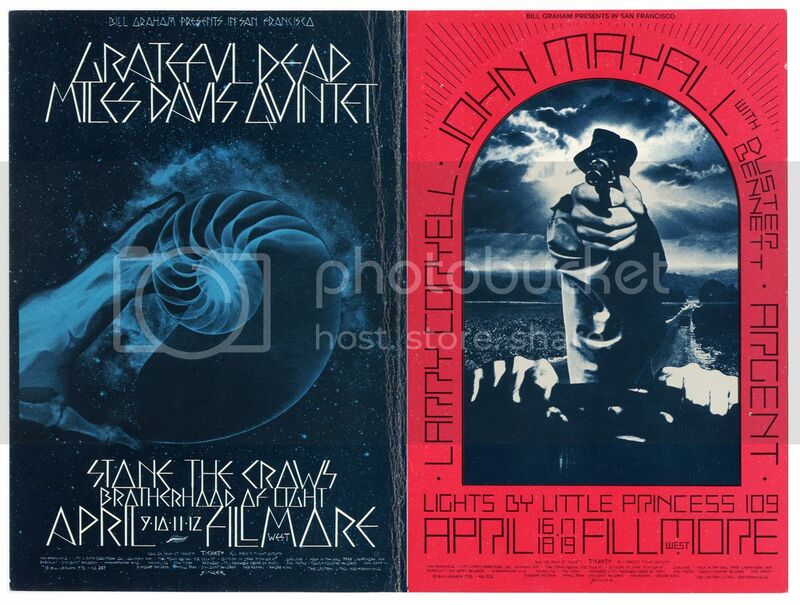 Be the first to review “Bill Graham Presents GRATEFUL DEAD JOHN MAYALL FILLMORE WEST Joined Handbill (Apr 9th 1970) Music” Click here to cancel reply.